Search "the big bang theory" 6 results have been found. Are you immune to sarcasm? 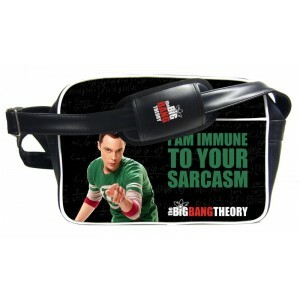 Well, Sheldon Cooper is immune to YOUR sarcasm on this messenger bag and you can tell he's not a big fan of this kind of behavior.It doesn't matter because Sheldon is the coolest geek around an do is this Sheldon Cooper bag! 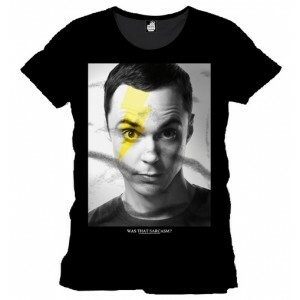 Sheldon Cooper is a very famous and loveable character among the viewers of the show and a lot of Big Bang Theory merchandise is made from his quotes. Get in this gigantic maze also known as Sheldon Cooper's brain ! 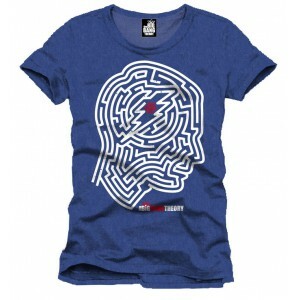 The pattern of this blue t-shirt is shaped as Sheldon's head. 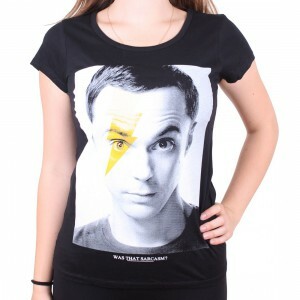 This great Big Bang Theory product is 100% cotton. Geeks too can toast ! 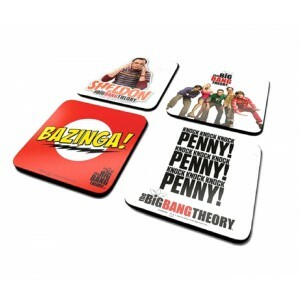 Those 4 coasters from The Big Bang Theory TV show showing quotes from Sheldon and his friends are the perfect excuse to have a drink. 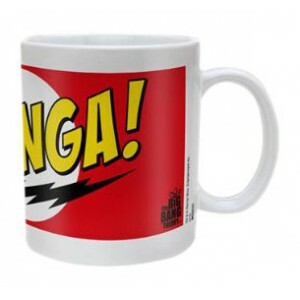 Drinking from Bazinga mug may not make you as smart or antisocial as Sheldon Cooper but it will automatically make smile the Big Bang Theory fans around you!